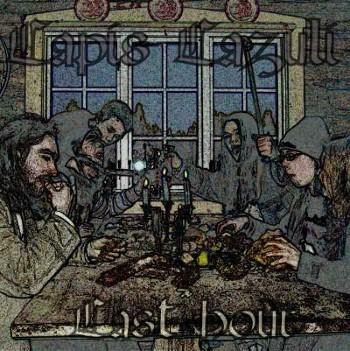 Lapis Lazuli is a Swedish metal band from Hammerdal. This guys’ first output was released back in 2006, figuring 5 tacks and entitled Last Hour. This demo is almost 38 min of play, combining power and progressive metal, in addition to classical and orchestral elements. In spite of the fact that this debut was self-released and done, I have to admit that these guys did a great job production wise. It’s nothing but a well-produced music. The instruments are easy to distinguish, and the sound is clean enough to make you enjoy the musicianship itself. On the songwriting side, this band play a mixture of power and progressive metal, done just right. The main key element in this release is definitely the keyboards, Timo Hautamaki being the mastermind behind it. Here the piano dominates positively the scene. The keyboardist crafts beautiful piano melodies and lengthy solos in each track. He also creates a great atmosphere, backing-up other instruments in motion. These play relatively a secondary role in structuring this demo release, but certainly remain fairly a nice compliment to the keyboard work. The guitars are usually in the background, but that doesn’t mean they are not there. There are some great riffs and supporting solos, as the one played in the song Archangel . They also mingle quite well with the keyboards. The drums and the bass do the remaining job, by solidifying the pace and the sound of the music. The drums is fast to mid paced, with some great occasional double pedals. The bass adds this heavy touch, well needed to a keyboard driven music. Lapis Lazuli is fronted by a female singer called Marie. She is apparently a very talented singer, and she does a wonderful job chanting operatic vocals. Her voice is beautiful and has this innocent feel, therefore enjoyable to hear for anyone out there. She sings with heart and passion, and those factors were the force behind her solid performance. She really impresses the listener in the track Nature’s call, one of her best shows in this release. In the other hand, occasionally, harsh vocals and male vocals occur to add contrast, a thing that I appreciated thoroughly. Timo Hautamaki seems like he really knows when to put things on action at the right time and the right place. This is the maiden release of Lapis Lazuli, and yet it’s professionally done. Last Hour shows quality in all aspects. This was a start, and the band hasn’t released anything after this demo, but for those who are reading this and interested in more of their music, I would inform you that they are writing a new material. Likely, their debut full length album is coming up late this year, so you really should keep an eye on this band. Recommended for Nightwish fans and symphonic metal lovers in general. Go ahead and buy your copy, it’s a good bang for the buck. Standouts: Nature's Call, Last Hour, Archangel.